Is growing from asparagus seeds more hassle than its worth? The answer probably depends on what is important to you. If you have lots of patience and know that you are going to be living where this bed is being planted for many many years then the answer may be yes. The plants grown from asparagus seeds and transplanted will not have endured the stress of being packaged and out of the ground for a period of time so may be better in the long term and have a lower failure rate when transplanting. However counter to that the crowns grown by nurseries should be very good healthy plants which should have had the very best conditions to start thier life and so should be strong vigorous one year old plants for you to start with. If you are on a budget asparagus seeds are certainly cheaper than asparagus plants, however, you will have to wait an extra year for your first crop, do you really want to wait that long? Shop around for your seed and buy because you like the variety and the quality not the price. The price of seeds is small compared to the love and patience you are going to put into these plants. You will find that typically you either pay very little (anything from $0.90 to $2.50 for 50 to 200 seeds or around the $3 - $5 mark for about 10 - 15 seeds. The difference is in the type of variety you are buying with the more expensive seeds bought in small quantities being the higher yielding F1 hybrids and the cheaper seeds being the long established heirloom varieties such as Connovers Colossal and Mary Washington. 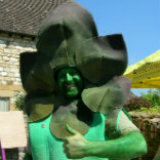 We are steadily building links to online seed and crown suppliers which may be useful to save you reviewing the market. If you find any information is out of date or know of any suppliers we haven't listed yet please let us know so we can update our records. 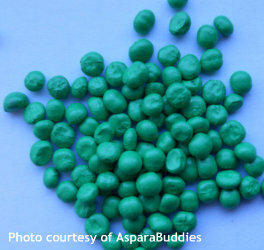 "Asparagus seed is sown in a heated glasshouse into cell / plug trays and then normally likes 3-4 weeks at 22-25C to promote rapid germination and early development. After that, then it normally takes another 6-8 weeks before it is ready for planting in the field. Temperatures are lowered gradually so that the plants are hardy before going outside." So unless you live somewhere warm your best bet is to start your seed of indoors either in a greenhouse or in the house in February or March so that 6 - 8 weeks later it is ready to plant outdoors by which time May / June the chances of frost are passed. You can also start your seeds off outdoors directly in the bed where they are to grow later in the season April / May accepting that they will not get the same flying start that the indoor seeds will get. If you are planting one of the hybrids that are typically sold in packs of 10 we suggest starting them off in trays / plugs or pots indoors. If you are planting an older variety where seeds are sold in numbers of typically 50 to 100 then planting the seeds in the bed where they are to grow long term is a possibility. If you are planting in trays, plugs or pots we suggest plugs. Look for deep plugs and put one seed in each. Soak the seed in water for a couple of hours before planting then plant each seed in its own pot about 5cm deep, keep moist and be patient. It can take up to 30 days for germination to take place. Once they have germinated keep the young plants watered and let them develop in their individual plugs until the ground is good and warm maybe late May or June. Harden them off before planting out. This means getting them used to the ambient out door temperature. You can do this by putting them outside during the day and bringing them in at night for a few days. Be sure all chances of frost are past and then plant out where they are to grow following the advice on preparation of your bed before hand. Prepare the seed bed following the instructions for planting asparagus crowns. Don't dig the trenches just get the bed nice and flat and rake over to get a nice fine soil for planting the seeds in. In late March / April or even early May (depending on where you live) you can plant your seeds provided the soil is warm and damp (not wet). Soak the seed in water for a couple of hours before planting to encourage germination. Sow the seed thinly 2-5cm deep (read the instructions on the packet) in rows about 30cm (12") apart. Water the seed well if it is dry. Keep a check on weeds as this is prime weed growing weather! After about 3 - 4 weeks you should be starting to see some signs of life, these babies are going to be yours for 15 - 20 years so be nice to them! Make sure they get watered well especially if it is dry, weed around them by hand. When the seedlings are big enough thin them to about 5cm (2") apart. Let them grow on. When they are about 15cm tall (6") thin them again to about 30cm or 1' apart. If your seed have females amongst them they will produce berries. These plants will not be as productive so when they show berries pull them out leaving you with just male plants. Cut the plants down in autumn as you will each year see aspargus care. 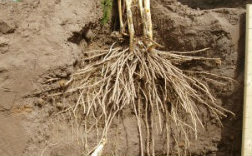 Finally if you didn't plant your plants where you want them to live long term (which we would suggest you do) then you are going to be transplanting asparagus crowns when they are one year old in March / April one year on.